While the conventional sources of energy are still predominant today, solar energy presents a viable alternative. The sun produces as much as 8,000 times the annual energy of the earth, and solar energy presents us with an alternative that is clean and unlimited, offering heat and power as needed. The Advantages of Solar energy presents some exciting possibilities. Solar is one option to reducing carbon emissions from high intensive carbon fuels such as fossil fuels hence a solution to lowering your carbon footprint. You can keep it really simple – all you need is a little bit of the sun – and your solar panels, which are mostly installed on your rooftop, will help you power from about 20 to 50 % of your energy needs. You could even store solar energy so using battery power back-ups or use the grid to store excess solar energy that can be used at night. The sun is a rich resource that is reliable and abundant source of energy. You’ve probably thought that solar panels just weren’t that effective. And you would have been right even half a decade back. In the early days, solar panels had lower retention capabilities, and it meant that the solar power would easily drain off. The dearth in predictability of a reliable power source and a huge investment cost as well meant that solar energy didn’t become popular initially, as it should have. – Solar panels have traditionally been expensive to buy and maintain. – You can only use and harness solar energy in areas where there is a good amount of sunlight. – You cannot store the energy for a long time. So, if you’ve had a cloudy and rainy day, you would run out of solar power in the night. – You cannot store away solar power efficiently, the way you want. However, things have changed since. 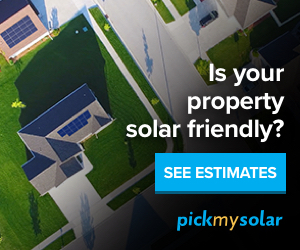 Solar panels today have low maintenance costs and better scalability. Add to it the fact that they cost a lot lesser than before. Statistics suggest that the solar panel industry is growing at a rate of 40-50% worldwide, and solar costs declining rapidly. The cost of solar panels have fallen by as much as one fifth of what it was a few years back and all this while the ability to harness power from the sun has significantly increased. For businesses, this means some good returns with photovoltaic installations actually making economic sense. Many countries today support the move to solar energy and incentives, rebates are crafted with this in mind to encourage investments in solar energy. Installing solar panels makes the perfect business sense today. Solar panel reviews today tell a different story. The cost of solar energy continues to go down today encouraging more and more people to go solar. What are the benefits of solar energy? Solar energy has the benefit of low maintenance costs, and of lower energy bills. Add to it the fact that solar panels are more or less reliant today and even on days the weather is cloudy, can fuel your power needs easily. Businesses also get the benefit of a short payback period and these photovoltaic installations can be put to innovative uses like shaded parking spaces. Here is a look at some of the reasons why investing in solar panels can be profit making. – Hedge against the rising electricity costs. – A reliable source of electricity for years to come with really low maintenance costs. – The solar cost will reduce over time, although some places the cost of going solar has reduced significantly making solar a more cost effective option compared to other sources of energy. – Can put in the amount saved to other areas of business for more profits. – Depending on where you live; short payback period of between 5 to 6 years to recoup your investment. The environmental benefits do not have to be told. Solar panels offer an economical way out to produce non-polluting energy and reduce the carbon footprint. With us being able to harness the power of the sun more efficiently. We are glad you found this information useful. Thank you for taking your time to read our posts. We appreciate it and please let us know if you have any questions or need any specific solar energy information or topics that would help you go solar.